With approximately 1200 members from over 100 organizations, we are the premier organization for information technology audit and control professionals in Minnesota and surrounding areas. 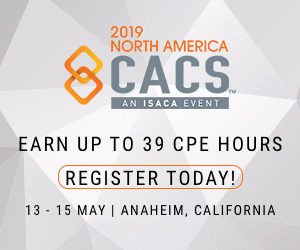 Our aim is to sponsor local educational seminars and workshops, conduct regular chapter meetings, and help to further promote and elevate the visibility of the IT governance, IS audit, control and security profession throughout the state of Minnesota. On this website, you will find a wealth of information about events and volunteer opportunities within our chapter including local job postings. Please be sure to visit the members-only pages for important information about your chapter, special members-only benefits. 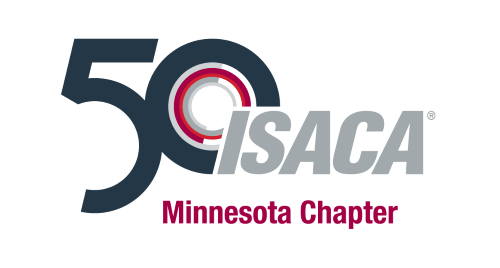 Follow Minnesota ISACA on Social Media! See the sponsorship page for more information on sponsoring us. The Minnesota Chapter earned an Honorable Mention for the 2014 Retention Award. The Minnesota Chapter earned an Honorable Mention for the 2013 K. Wayne Snipes award for being the Best Very Large Chapter in North America. The Board of Directors would like to thank everyone who helped our chapter achieve this award. The award was formally presented to our chapter at the 2014 Global Leadership Conference in Las Vegas, Nevada on 26-27 April 2014.